Big changes are looming for the American Express Membership Rewards program. On Monday April 15, a sweeping revamp of the AMEX loyalty scheme will see the value of points that cardholders have already earned being slashed in value by as much as 50%. Want to come out ahead? Convert your hard-earned points across to your preferred frequent flyer scheme before April 15 and they’ll retain their current value (once April 15 hits, you’ll get significantly fewer frequent flyer points from the same starting balance). First up, are your points being doubled? With AMEX Platinum and Centurion cardholders enrolled in Membership Rewards (MR) Ascent Premium, MR’s highest tier, many of these customers have been contacted by American Express and advised that their balance of points as at April 15 2019 will be doubled, offsetting the program’s 50% reduction in conversion rates and meaning there’s no rush to spend them. As a valued American Express Platinum Card (or Centurion) Member and in recognition of the redemption rate changes, we will protect the value of your existing points balance by automatically crediting your account with the same amount of Membership Rewards points that you have at 1:00am AEST on 15 April 2019. For example, if your balance is 100,000 points we will credit an additional 100,000 points. The additional points will be added into your account by 15 June 2019. There’s no need to call us or enrol. 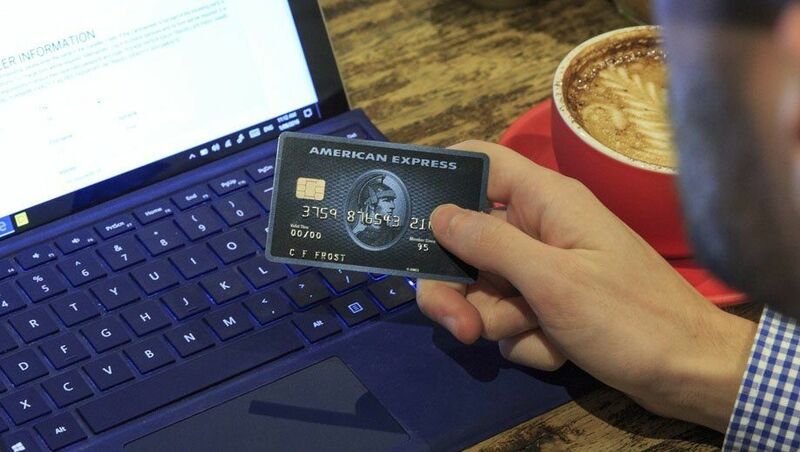 Ascent Premium members who haven’t received that letter or who want to double-check that their bounty of points will be safe can contact American Express via the number on the back of their card. Ascent Premium members are the only personal American Express cardholders who can manually convert the points they’ve earned to Qantas Frequent Flyer: and right now, Qantas is offering a bonus of up to 40% on those transfers. Until 11:59pm (Sydney time) on April 14, converting up to 500,000 points to Qantas comes with a bonus of 15% more Qantas Points, while converting 500,001 to 1,999,999 points to Qantas attracts a 25% bonus. Convert 2,000,000 points (or more) to Qantas and you’ll unlock a 40% bonus – providing a solid boost of 800,000 Qantas Points on a transfer of two million points, for an all-out haul of 2,800,000 Qantas Points. Of course, the number of Qantas Points needed to book flights can be higher than through many of American Express’ other frequent flyer partners like Cathay Pacific Asia Miles and Singapore Airlines KrisFlyer, although that bonus helps to negate any differences. Planning a points transfer to Marriott Bonvoy? If you’re on the receiving end of AMEX’s ‘double points’ deal, you’d be wise to wait until after your points have been doubled before converting any to Marriott Bonvoy: formerly known as Marriott Rewards. That’s because the conversion rate from AMEX to Marriott was amended from 2:1 to 3:2 last year, and that rate won’t be changing again under the April 15 overhaul. As an example, converting 100,000 Ascent Premium points to Marriott would fetch around 66,666 Bonvoy points today – but if you wait until your balance is later doubled and then make your conversion (at the same 3:2 rate), your bounty grows to 133,333 Bonvoy points. The same windfall doesn’t apply to airline frequent flyer transfers – which are all moving from a 1:1 to a 2:1 rate before any ‘double points’ land in members’ accounts – but for Marriott members, it’s a small win. For spenders using American Express cards enrolled in other tiers of Membership Rewards – such as MR Ascent for Platinum Edge cardholders or MR Gateway for Explorer customers – more urgent action is required to preserve the value of any points that have already been earned. Use or convert those points before April 15 and they’ll retain their current value: but make that conversion on or after April 15, and the number of frequent flyer points you’ll get in return could be cut in half. 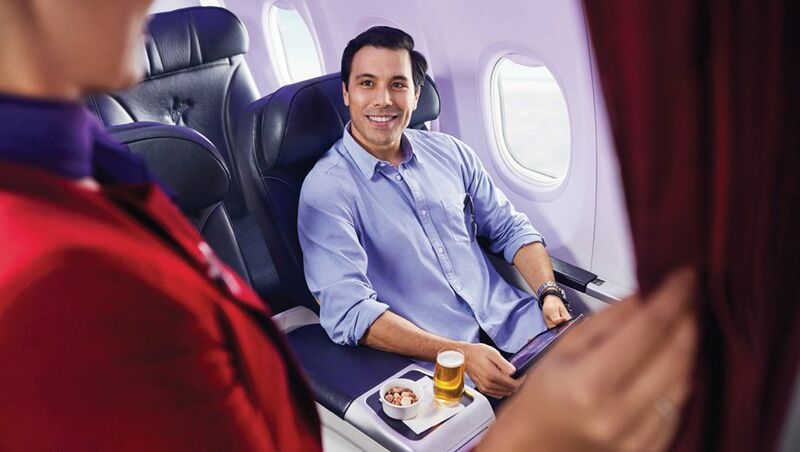 While you might naturally lean towards converting your points to Virgin Australia’s Velocity Frequent Flyer program, here are some of the other, more rewarding things you could do with those points when converting prior to April 15 – after all, if Velocity was in your sights, you'd have converted the bulk of your points during Velocity's bonus points deal last month. With Asia Miles commanding only 170,000 frequent flyer points for a return business class trip between Australia and Europe – gained from 170,000 Ascent points or 226,667 Gateway points – this is another time when being able to convert points into Asia Miles comes in handy. To get the best value from this booking, booking the entire journey on Cathay Pacific via Hong Kong keeps the cost capped at 170,000 Asia Miles, whereas booking partner airlines like Qantas or British Airways commands a higher 180,000 Asia Miles for the same itinerary. Have fewer miles to spend? 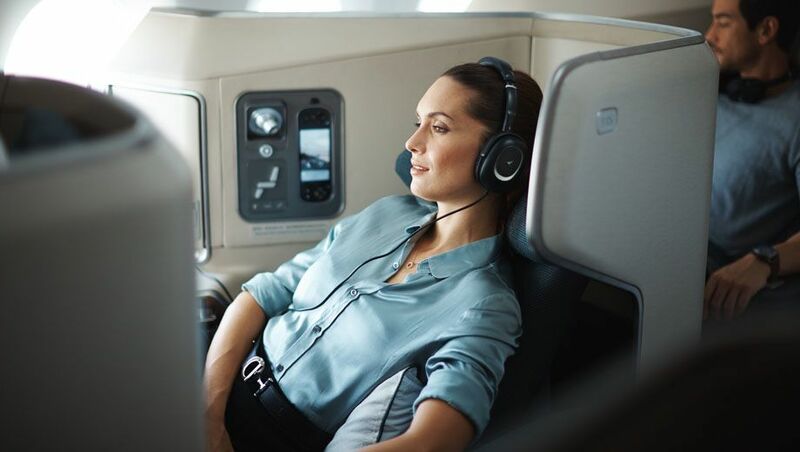 Converting 60,000 Ascent points or 80,000 Gateway points into 60,000 Cathay Pacific Asia Miles unlocks a round-trip premium economy ticket to Hong Kong from anywhere in Australia, when flying with Cathay Pacific. Covering itineraries from Sydney, Melbourne, Brisbane, Adelaide, Perth and Cairns, this reward presents exceptional value, being just 30,000 points per one-way premium economy flight. At 240,000 Singapore Airlines KrisFlyer miles for a round-the-world business class ticket, your balance of 240,000 Ascent points or 320,000 Gateway points could see you circling the planet in comfort and style: visiting up to seven cities and travelling up to 35,000 miles in the air. 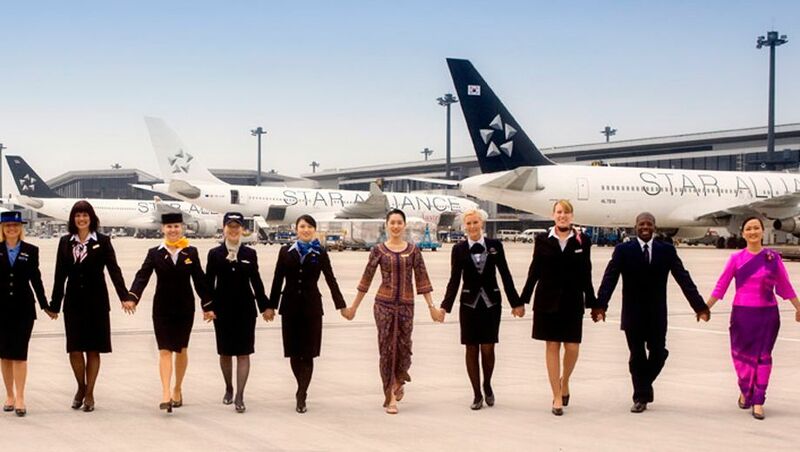 You’ll be able to fly with Singapore Airlines as well as all other members of the Star Alliance family: a long roster that includes Air Canada, Air China, Air India, Air New Zealand, ANA, Asiana, EVA Air, South African Airways, Thai Airways and United in Australian skies, and plenty more overseas like Lufthansa, SAS, Turkish Airlines and more. By nature, this is one of the hardest bookings to make using points, as every flight in your round-the-world ticket needs to be open for points-based bookings – the same as when using miles on any other flight: just with many more flights to secure on the one ticket – but can be one of the most rewarding for those who persevere. With just 27,600 Ascent points or 36,800 Gateway points in your Membership Rewards account, you could convert these into 27,600 Etihad Guest miles and enjoy a return business class jaunt with Virgin Australia on a variety of domestic and international routes, using fewer points than would otherwise be needed through the Velocity program. This covers not only short flights like Sydney-Melbourne, but also longer routes like Melbourne-Brisbane, Brisbane-Port Vila (Vanuatu) and Brisbane-Hobart: journeys that would usually require 47,000 Velocity points for a return ticket, but can be booked for a mere 27,600 Etihad Guest miles instead. To put it another way, if you converted 27,600 frequent flyer points to Velocity, you’d only have enough points to make that trip in economy: but if you converted that same balance of Membership Rewards points to Etihad Guest instead, you’d be flying business class. While you do have to call Etihad Guest to make these bookings as they can’t be done online, in my experience, that phone call has never taken more than 10 minutes. Transfers to the Emirates Skywards program from both MR Ascent and Gateway currently take place at a 4:3 rate, and with 140,000 of those Membership Rewards points – 105,000 Skywards miles – you could take a return business class flight from Sydney or Brisbane to Seoul with Korean Air. This option is notable as South Korea is otherwise quite difficult for Australian travellers to reach when using points: particularly on non-stop flights, with a solitary flight on Asiana from Sydney the only other option without transiting through an overseas hub, meaning less time in the air, and more time on the ground in South Korea. Virgin Atlantic Flying Club may be based in the UK, but its partnership with Japan’s All Nippon Airways (ANA) unlocks a great opportunity for Sydney-based AMEX cardholders, with 90,000 Ascent points – 90,000 Flying Club miles – securing a return business class ticket from Sydney to Tokyo with ANA. You’ll travel from Sydney straight to Tokyo’s Haneda Airport in a fully-flat bed in both directions, which you’ll appreciate given both Sydney-Tokyo and Tokyo-Sydney operate as overnight flights. However, this opportunity isn’t available to MR Gateway members, as transfers to Virgin Atlantic Flying Club aren’t available from the Gateway program. Over to you, AusBT readers: how are you planning to spend your remaining Membership Rewards points, or are you holding onto them for now, having received a ‘double points’ offer? Share your tips with fellow readers via the comment box below! 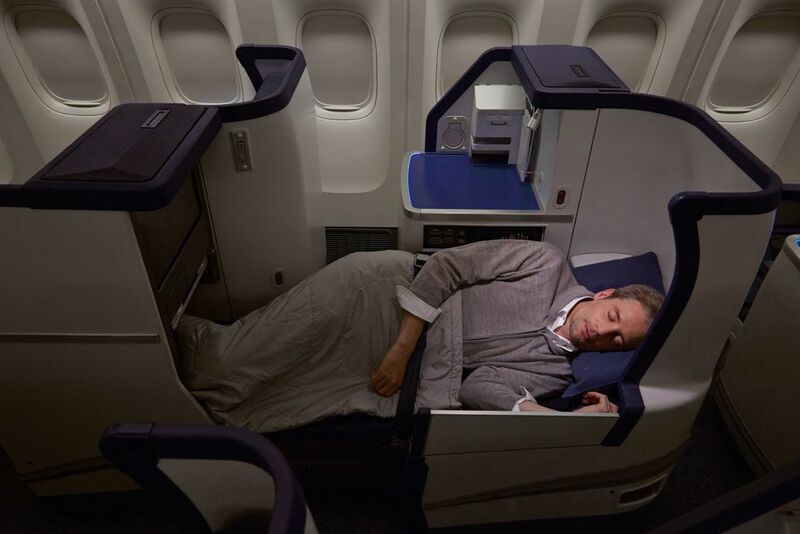 I have almost exactly 340,000 Amex Ascent points, so the choice is a pretty obvious one for me: convert the points to Asia Miles and bag return business class flights to Europe for my wife and me. In fact the first half of the trip is already booked! The caveat is that Asia Miles availability into Europe isn't all that great, so it pays to book the full 352 days in advance before the seats are taken. Getting out of Australia is hard! I was hoping for some hotel point strategies, ie better to trasfer to Hilton than Marriot etc. I received an email saying the points earn for most of my spend would go from 1 point to 2.5 under the new plan. Even with devaluation, would this not make my new situation better for me? Hi mspcooper, we can't offer readers 1:1 advice, although our earlier coverage of the AMEX changes examines the full impact on earning and conversion rates across a variety of cards, which you can find here. That said, a 2.5/$1 earn rate sounds like you're talking about the Centurion Card, which loses its category bonuses on spends like dining and travel, reducing the number of frequent flyer points earned on those transactions by more than half, in exchange for a 25% boost on other purchases. Thanks Chris. I understand that you are unable to provide personal feedback. I'm sorry, if i worded it poorly. I was meant to pose a question to other holders (Centurion) if their majority spend was on "other" rather than dining and travel, then the new changes may work in their favour after the change? I appreciate you taking the time to respond though. If the other spend is going from 1 to 2.5 points, is it 25% boost though?? The conversion rate from MR points to Airline is reduced by 50% though .. isn't it? Yes, Centurion cardholders are the lucky ones, at least when it comes to everyday spend. Essentially it goes from 1 FF point per $1 spent (1 MR @ 1:1 conversion) to 1.25 FF points per $1 spent (2.5 MR @ 2:1 conversion), so a 25% boost on those transactions. Not great for those who push lots of travel spend through their cards, but a nice increase on regular purchases. Qantas offer was targeted. Not for everyone. It's not a targeted offer: it's open to everybody, even though Qantas may have only contacted members that it believes can make use of it (given most credit card programs don't support manual points transfers to Qantas). The offer also applies to manual Qantas Points transfers from other credit cards (e.g. Westpac Altitude Business accounts, some older Citibank business accounts that support manual Qantas transfers, etc. ), although as the focus here is AMEX, and only MR Ascent Premium members can manually convert to Qantas, that's what we've focussed on. Bonus Qantas Points will only be awarded for transfers of credit or charge card reward points to Qantas Points that take place between 12:01am (AEDT) 1 April 2019 and 11:59pm (AEDT) 14 April 2019. Bonus Qantas Points will be rounded up to the nearest whole Qantas Point. Please allow up to 15 days after the offer has closed for the bonus Qantas Points to be credited to your Qantas Frequent Flyer account with the description ‘Card Transfer Bonus’. 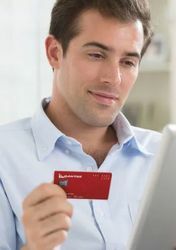 This offer is not applicable to any card products listed at qantas.com/cards or other credit or charge products where the Card Partner automatically transfers your credit or charge card reward points to Qantas Points on your behalf on a monthly basis. qantas has a website saying it is targeted though. amex also has a page that says only availabe to 'customers received this email' ? Hi again James, as above, Qantas Loyalty shared this offer directly with media for publication, which Qantas doesn't do for targeted-only offers. If you have any concerns, you can always check with AMEX directly to confirm that this offer is available on your account, and/or with Qantas Frequent Flyer. More importantly you can only transfer to Qantas if your in the Ascent Premium program, and generally these people are getting their points doubled - so there is less urgency to transfer out. That said the 40% bonus is good though. I have 950,00 virgin points ( silver) , 252,000 Qantas points ( red) and 227,000 unconverted points, from an Australian platinum express card. Any suggestions on best how to get the most of them from the professional travelers who visit this site. I have a few Kris flyer points and Asia miles, and about 60K united points. I see 3-4 years ago the virgin point would have got me 4, Sydney to London returns airfares on virgin but would be lucky to be 3 now. This stuff is worse less and less as time goes by. I will do a few a flights this year which will get me to silver on Qantas , but for virgin, USA connections are terrible for me as they are mainly with delta. I don't use them much for hotels, is that a mistake. I have some hilton, Hyatt and Marriott points but tend to stay at there lower cost brands. I will be happy when amex open a LAX lounge, i would love to know a frim date. Managed to score a doubling offer even though I got the platinum card after the announcement. Cheering! Anyway to convert Ascent points to Ascent Premium? Yes, call AMEX and ask! I’m new to points and surprised at all the programs available. I have 400k QFF and 200k velocity points. Should I be moving these to something else or not bother? You can't move your Qantas points to any other programme so that decision is made for you. As for Velocity, you can convert them to KrisFlyer but you'll lose 35% of your points in the process so that's only worth doing if you have a specific purpose in mind. If you're not sure what you're going to use the points for, keep them as they are. Hi all, Any opinions to help me choose on the last day...? I have 350k. Goal would be business to Europe for me and my wife. Asia Miles or KrisFlyer. Any opinions on which are easier to redeem in shoulder times? Otherwise, I usually fly Qatar, but best I can seem to convert to (via Marriot) is ~90k, so think that option isn’t great. Yeah, did that and went for Asia Miles. Thanks! Comment on "How to maximise your AMEX points before the April 15 changes hit"